The National Fire Protection Association’s Fire Prevention Week this year is from Oct. 7-13 and the theme is, “Look. Listen. Learn. Be aware. Fire can happen anywhere.” If alliteration and rhyming can’t get you to be proactive about fire prevention, listen to this statistic: According to the NFPA, U.S. fire departments respond to a home fire about every 86 seconds. Preventing a fire from occurring is possible, but it does require effort. Have several fire extinguishers throughout your home, and know where to locate to them. They should be placed along escape routes, as well as areas that are prone to fires, like the kitchen. Make sure that smoke alarms in your home are working properly by changing the batteries at least twice a year. Use extreme caution with any kind of heating equipment, while also being sure to keep them clean; and never leave an active stove or stovetop unattended, especially when cooking with oil. There are several ways to prevent fire in your home. But if a fire does happen, fighting it is no easy task—even for the pros. 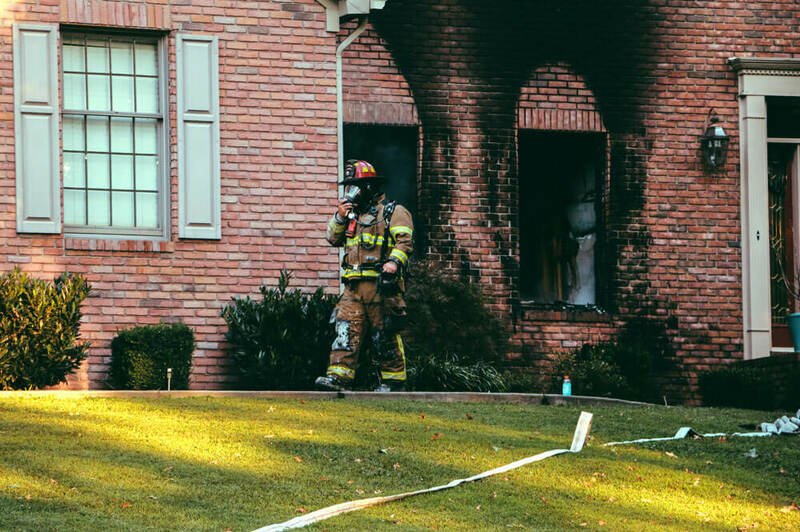 If your home faces damage due to a fire, homeowners insurance will certainly help you and your family recover. But, just how much coverage do you have? Will your personal property be replaced? What about the rebuilding process? Our trusted professional advisors can help you answer these questions. We are here to help you and your family recover should the worst happen. We’ll help you get back on your feet in the event of a fire in your home.